Aerial application pays for itself and puts more money in the grower’s pocket! Applications are not limited by wet soil. 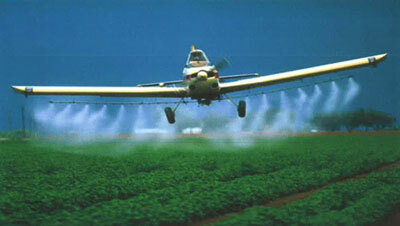 For years it was assumed that aerial spraying cost more than ground applications. That may have been true when the industry was in its infancy. Research shows that the advancement of spray technology and production styles have made the ground versus aerial debate more about what method is most suitable for each farm. Cost wise, aerial versus ground is less than a dollar difference, so the decision has to be made on other fronts: loss of yield due to compaction or unplanted areas, effectiveness of the spray pattern, harvest problems, concerns about disease spread, and the time it takes to get either application completed.